Home / Comic Con / Cybertronic Spree / Music / Retro Con / Retro Con 2018 / Transformers / Transformers Tribute Band Cybertronic Spree Is Returning To Retro Con 2018! 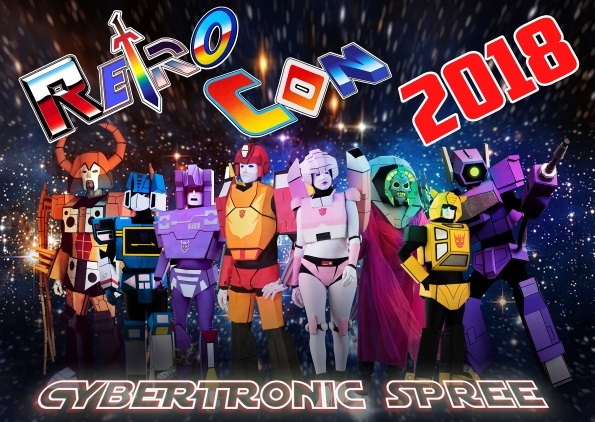 Transformers Tribute Band Cybertronic Spree Is Returning To Retro Con 2018! Retro Con 2018 is shaping up to be the best show yet with several top voice actors like Samantha Newark (Jem and the Holograms), Melendy Britt (She-Ra: Princess of Power), Gregg Berger (Transformers, Garfield and Friends) and Garry Chalk (Transformers: Beast Wars, G.I. Joe) set to attend. But now, the icing on the nostalgic cake is the return of Cybertronic Spree!!! Cybertronic Spree will be appearing at the same venue for Retro Con 2018, The Water Tower at Arnold's Family Fun Center in Oaks PA (literally within walking distance of the convention center.) Concert is October 13 at 8pm. Cost is $14 per person and tickets are on sale now! THIS SHOW WILL SELL OUT so don't wait to purchase. The band will also be at Retro Con for photo ops earlier on Saturday from 10am-1pm. Visit this link to purchase your tickets now through Paypal on the official RetroCons.com website. More details about the concert and tickets can also be found by visiting the aforementioned link. We hope you'll be there with us for all the face-melting action!